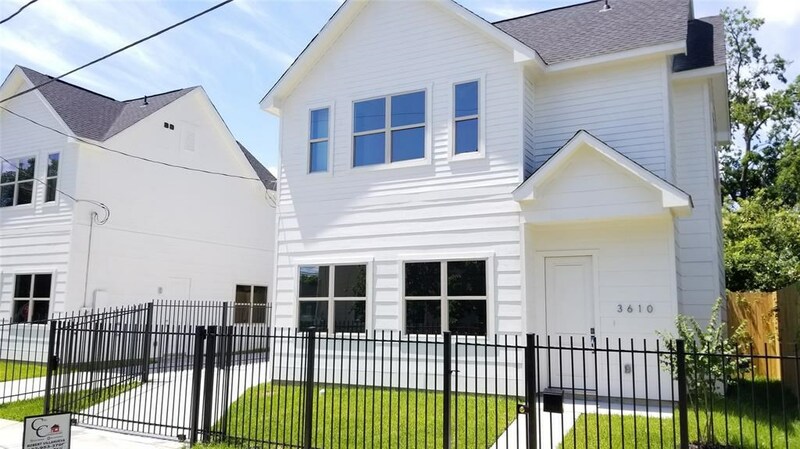 Remarks: Say hello to a beautiful unique brand new construction home located within minutes of downtown and nearby attractions. This new build boasts 2 bedrooms (all upstairs) each having their own full bathroom with marble tile, 1 study/office room downstairs (perfect for any use), Samsung stainless steel appliances in the kitchen (washer, dryer, and refrigerator can be included), Ply Gem Low-E windows (energy efficient), 10-foot high ceiling, 8-foot tall doors, marble tile in the bathrooms, vaulted ceiling, 8-foot fence, and more. No garage but builder can install a new carport. Save money with NO HOA! Be close proximity to the booming residential development in the area including a new multi-use building offering both street retail and creative/loft office spaces on Milby & Runnels St. Be minutes from the East River project coming soon which is a dynamic mixed-use development. Be the first to live in this new home and be part of this booming area. This Listing is Courtesy of: Home Agent.